This festive season also sees the return of the highly anticipated ‘Dinner in the Great Hall’ events at Warner Bros. Studio Tour London. 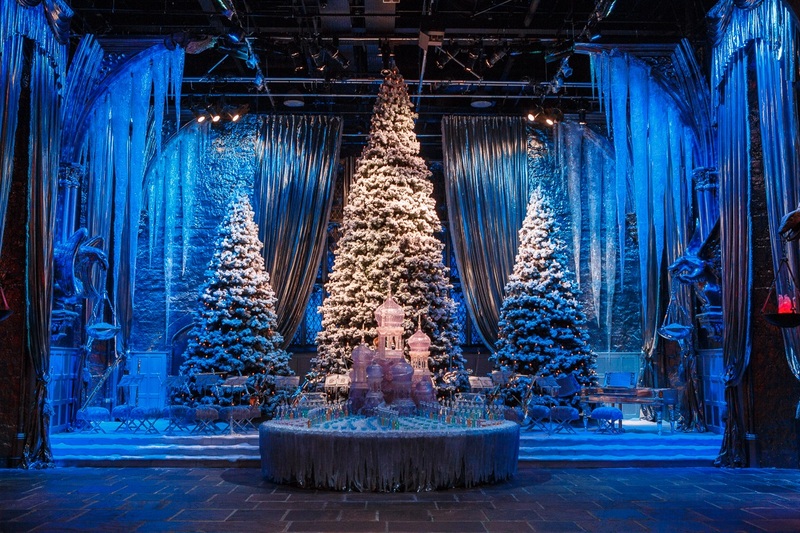 Each night from 10th-12th December, Harry Potter fans can enjoy drinks and canapes before sitting down to a two-course Christmas feast on the truly magical Great Hall set that will be completely transformed for the festive season. Dessert will be served on Platform 9 ¾ next to the original Hogwarts Express locomotive and guests will be free to explore the Studio Tour exclusively after hours. For more details, please visit: www.wbstudiotour.co.uk/dinner. The festive transformation will begin in the Great Hall, where the stage will again be decorated as it was for the iconic Yule Ball. As seen in Harry Potter and the Goblet of Fire, the celebration of the Triwizard Tournament saw every detail of the Great Hall covered in shimmering silver, dripping icicles and sparkling snow. 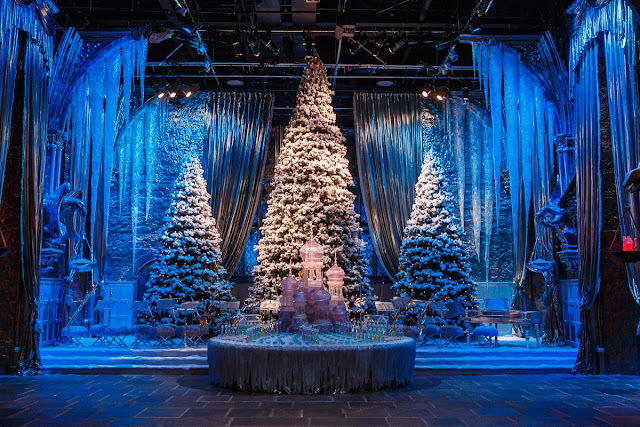 Visitors to the Studio Tour will get a taster of this incredible set dress as the top section of the Great Hall will be transformed with snow-covered Christmas trees, icicles and an orchestra of magical instruments that have been painted by the PropMaking Department to match the silver of the Yule Ball. Hogwarts in the Snow will run from Saturday 17th November – Sunday 27th January 2019. 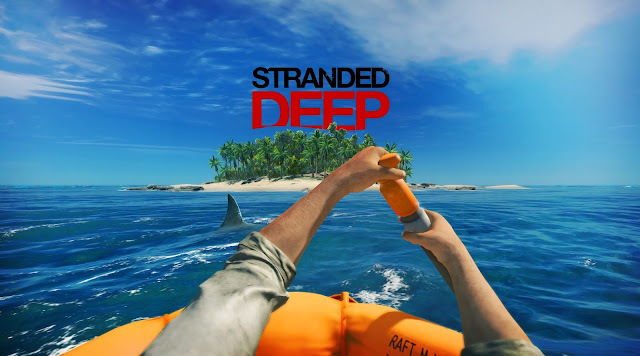 Tickets must be pre-booked, and all extra features are included in the ticket price. Tickets to Dinner in the Great Hall will go on sale at 10am on 25th September 2018 and can be purchased from: www.wbstudiotour.co.uk/dinner.